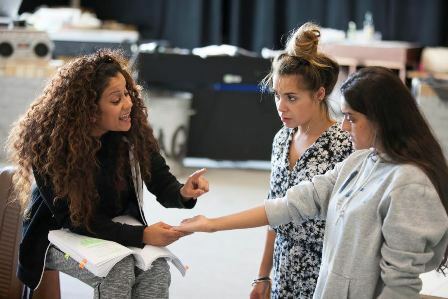 Jalleh Alizadeh is starring as Anita in the stage adaptation of Meera Syal's novel, Anita and Me, the coming-of-age tale set in the West Midlands in the 1970s. It premieres at Birmingham Rep, October 9 – 24, then moves to Theatre Royal Stratford East, October 29 – November 21. 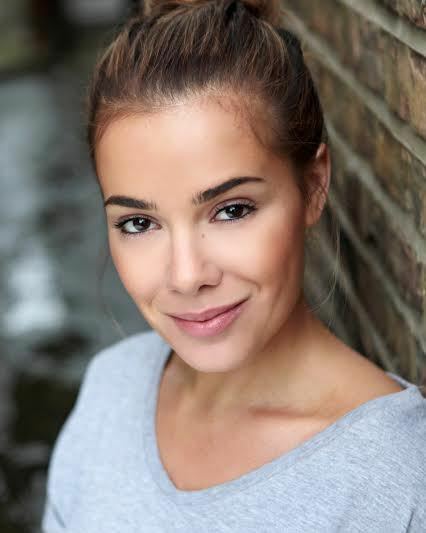 I met up with the 28-year-old actress from Sutton Coldfield to find out more. I've always been interested in acting and took part in productions at school, King Edward's in Lichfield. I then did A-level drama at Sutton College but my dad pushed me towards a more academic route, so drama school wasn't an option until I got a degree in something more academic, English and Theatre Studies, and a Post Graduate Certificate in Education. I fell into education, doing supply teaching but I still had a burning desire to act so I enrolled at Identity Drama School in London, studying part time, travelling from Birmingham twice a week to go to classes. I applied to different agencies to get representation, got myself an agent, and that's how it all started. The TV series Benidorm, which was filmed in May, 2014. I played a holidaymaker from Birmingham who was chatted up by one of the main characters and I wasn't having any of it! They wanted a regional accent – at the audition they specified 'not posh' so I upped the Birmingham accent a little bit. Since then I've been in a couple of episodes of Doctors. I'd auditioned for a part of a regular character but they gave it to another actress and called me back to play her sister. For BBC Radio 4 I've done The Boy From Aleppo Who Painted The War, which was recorded in summer 2014. I'm also in a film, Get Gone, which is due for release this year. I play the girlfriend of one of the main characters. Anita and Me is my professional debut on stage. So you began your acting career later in life. A career in the arts seemed out of reach to me. Once I'd done my degree I fell into teaching but when you've got a desire you can't let go of it. I started looking to get back into acting when I was about 25 so it was quite late to get back into it. Is the career living up to expectations? Yes, definitely. You feel like you're living a dream, there's nothing that's disappointed me. You have to be so tenacious, so dedicated and so committed, you have to make so many sacrifices. You really learn to grow a thick skin and not take things personally. You have to have that peace of mind that if something's going to be for you, it's going to be for you. Don't lose heart when you have knockbacks. For Anita and Me, I'd seen the casting director for another show that was due to be on at The Rep last year. I had three recalls for it and everything was looking positive and I had some really nice feedback and then in the end it just didn't go my way. But then the casting director remembers you and that's what's happened with Anita and Me and she called me in for this role. Have you read the book or seen the film? I've seen the film and I'm currently reading the book – I don't know whether that's a good thing. I don't want to get the two stories mixed up – the play is an adaptation and a bit different. I really enjoyed the film, I'm a bit of a sucker for those girlie coming-of-age stories. What is the biggest challenge of the play for you? One of the biggest challenges is coming to terms with exactly how prejudiced society was back then. It's quite shocking how somebody could live through that and people would have those views. To channel that in order to bring it out in the character is a bit of a challenge. Television, film, theatre, radio – what's your favourite? Theatre because you can really get to the heart of acting, you can really explore a character. 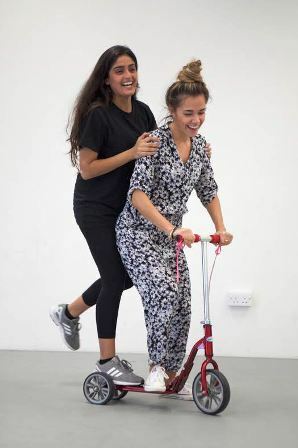 You can get creative, utilising all those techniques you've learnt in drama school. In TV it's very quick and you don't necessarily get the chance to explore the character in as much depth. Theatre definitely gives you all of that freedom. And you have that atmosphere of having a live audience and you can be in that moment. To be able to sustain a career out of acting, whether that's theatre, TV, film or radio.